The colors on which you base your wedding decor are essential, whether you choose to go with a theme or just with inspiring colors. 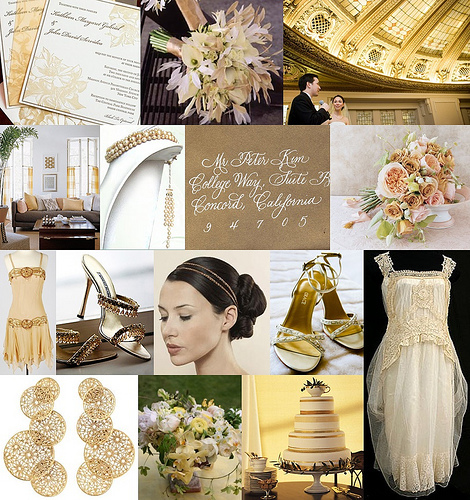 The theme and the color palette is the inspiration for the entire wedding: starting with the invitations and up until the smallest details, such as the type of cocktails served during cocktail hour, the decoration of the reception site, the flower arrangements, the ceremony’s decor, etc. Whether you opt for a theme or an inspiration board in general, the most important thing is that, in the end, there is harmony in the decor, thanks to a wonderful color palette. 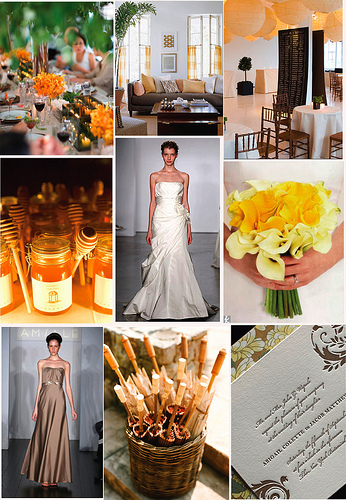 Choosing a color palette for your wedding is not an impossible mission. All you need is a little inspiration, some rules and lots of planning in order to attain an end result that will turn your wedding into something truly unique and special. Simple: use the color wheel! Remember way back, when you studied the color wheel in school? If you don’t remember, then check out Color Scheme Designer. The color wheel is a great way to help you choose a color palette. All you have to do is select a color and see which colors compliment it and which colors are its direct opposite. If the idea is a neutral color palette (monochromatic), choose one color and add more white or more black to it. This way you’ll be able to pull together different variations of the same color, creating an inviting atmosphere with distinct shades of the same color. 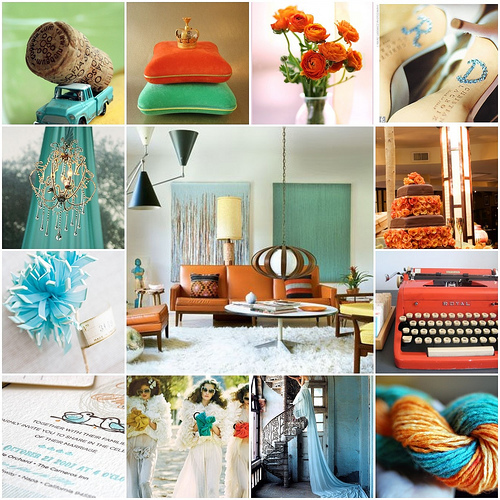 For example: if you choose blue, your color palette can include any shade from dark blue to baby blue. 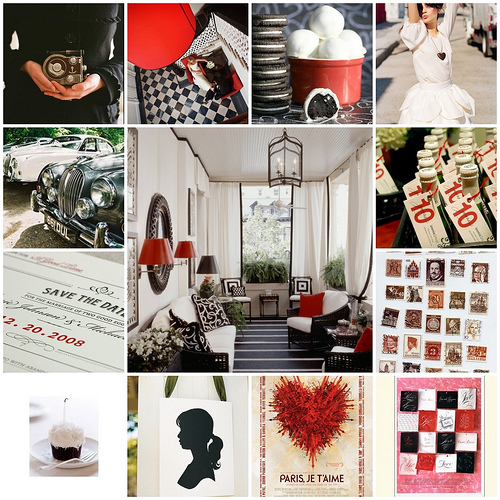 Using a color palette composed by monochromatic colors is a great way to create an intense and unforgettable decor. Although it may not be completely obvious, interior decorating and fashion magazines are great resources for wedding color inspiration. 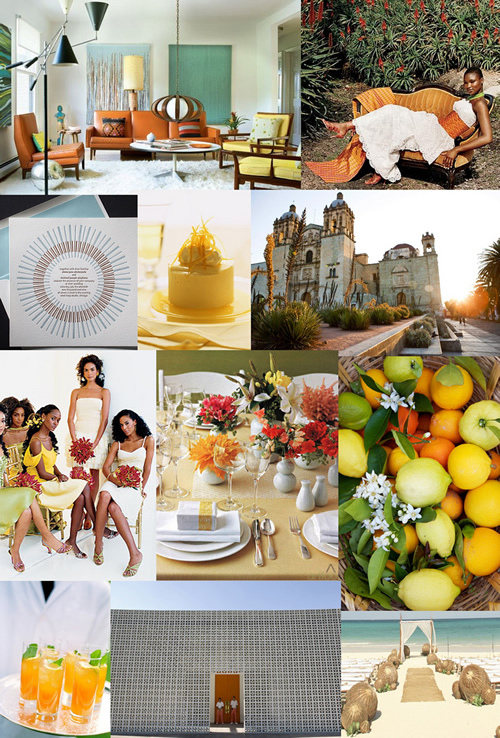 Although each article or photograph may specifically refer to one of the divisions of a house or a piece of clothing, you can still use those ideas, especially the color palette, and apply it to the wedding decor. Another wonderful source for mixing and matching colors are the catalogues of paint companies, which are usually filled with suggestions of complimentary colors, as well as ideas about which colors work best with which and which colors make other colors stand out. Sometimes, the inspiration for a wedding color palette can come from something so simple such as the fabric of a dress, shirt or a little trip to your local fabric store. You don’t have to use the actual fabric, but you can be inspired by the patterns, motifs and colors used in its construction and apply those to your wedding. 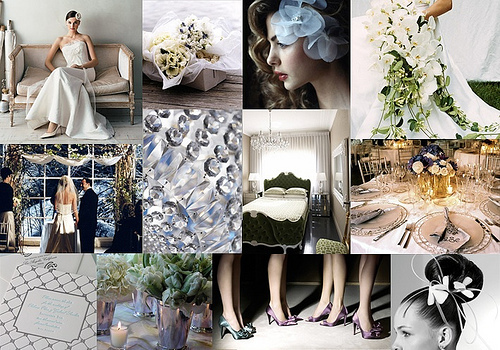 Whether it’s online interior decorating sites or websites such as Colour Lovers that help designers choose which colors are made for each other (with examples of great combinations that the human eye considers harmonious), all are fantastic resources for ideas that will help you define the perfect wedding color palette. Take advantage of all the accessible information that is out there and turn your wedding into a personalized and unique event. You have two options: you can choose to coordinate colors or you can choose a dominant color. If you decide to go with more than one color, don’t forget to check out the color wheel, in order to select the best complimentary and contrasting colors. If you rather go with a dominant color, than it is important that you decide which will be the dominant color and which will be the complimentary colors. The complimentary colors can be neutral, in monochromatic shades. A dominant color can be highlighted by a higher percentage of less expressive colors, which will accentuate the dominant color. For example, if you like green you can go with a monochromatic look using different shades of green which can be complimented by a neutral base such as a beautiful shade of pearl. Don’t forget that once the dominant color and the color palette have been defined, you must decide where and how you will use them. 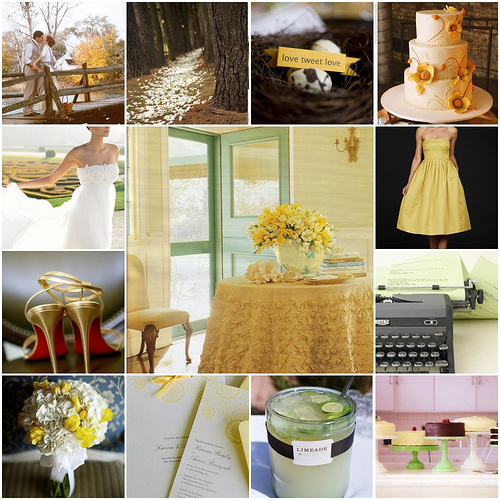 You can also base your color palette on the seasons (Spring, Fall…), on the time of year (Christmas, Valentine’s Day…). However, be careful about not going overboard with the theme or its colors because, for example, if you exaggerate on the Christmas decorations, you risk turning your wedding into a Christmas party. Another good idea is simply choosing the colors that you like most. Don’t be bothered by what other people may say or think, it’s your wedding and although it’s an event where guests are supposed to feel welcome and happy, so should the bride and groom!